At South Riding Auto Collision, we are an I-CAR Gold Class auto body repair shop dedicated to restoring your damaged vehicle after an accident. Our goal is to make it look like nothing ever happened and also repair your vehicle the right way. With our Gold Class designation, you can be sure you are choosing the correct shop for your collision repairs. The Gold Class designation confirms we have the most up-to-date knowledge to repair your vehicle safely and restore it to its pre-accident condition. With our knowledge and reputation for high-quality repairs, we give you peace of mind that your vehicle is safe and will hold its resale value – even after an accident. As vehicle technology rapidly advances and safety systems become more advanced, it is critical to have your collision repairs completed with an I-CAR Certified shop. New materials are being introduced frequently, and parts are becoming more complex with each new vehicle model release. Choosing a body shop that doesn’t understand vehicle dynamics or lacks proper training and equipment could spell long-term frustration with your vehicle. Choosing an auto body repair shop can be one of the most stressful decisions after an accident. How do you know where to take your car after it has sustained damage? With our I-CAR Certified collision repair designation, we try to make the decision, and the entire process, as stress-free as possible. 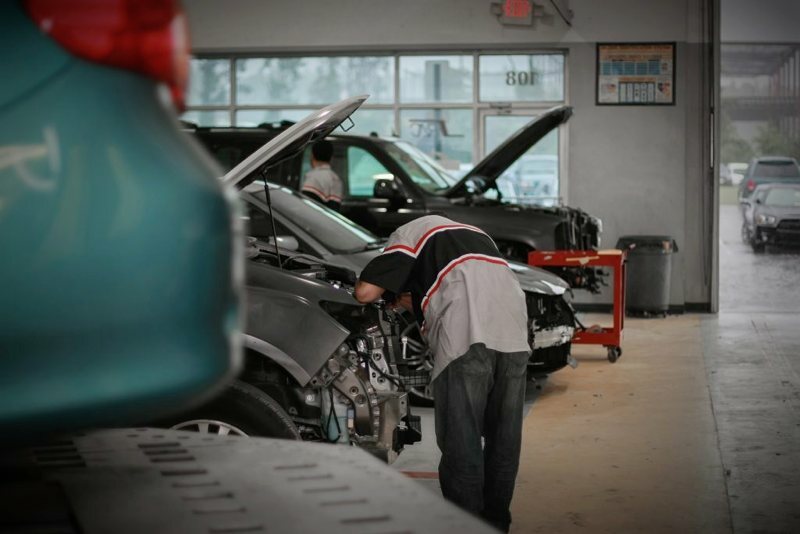 No other Chantilly or South Riding collision repair shop cares more about your vehicle than we do and no other shop knows how to repair it better than South Riding Auto Collision. Contact our team today to discuss the benefits of using an I-CAR Certified collision repair shop like us or if you’d like to schedule your free estimate, just give us a call and we’ll be happy to help you!